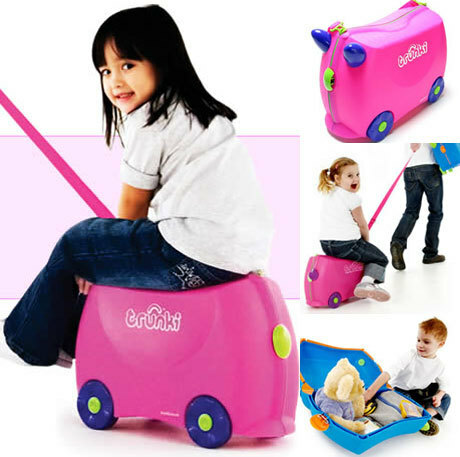 Top 10 Toys To Make Travelling With Children Easy! Taking children on holiday, especially if traveling on a long haul flight, can be a testing experience for even the most patient parent and seasoned traveller. Last week we shared our top tips for travelling with children on an aeroplane – this week, we tell you the 10 best toys to take to keep them entertained! Simple, small, and cost effective entertainment. Sticker packs combined with a scrapbook are an ideal way to spur a child’s imagination, and keep them amused through play. Get creative and inventive with them too, maybe encouraging kids to decorate a finished water bottle as well as create make pictures in a book. 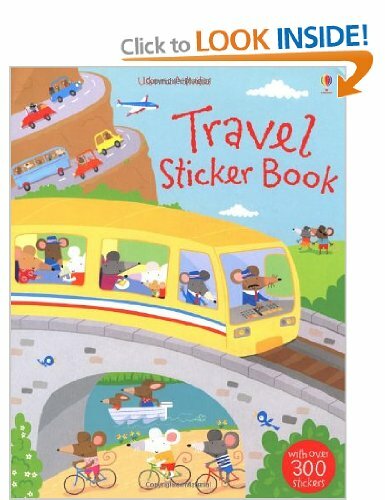 Galt do a great travel themed sticker book, complete with 300 stickers, all yours on Amazon for under a fiver! Travel games are great because they are small, light and easy on the pocket. Classics such as Guess Who? Pop Up Pirate and Connect 4 are available for about £5 each on Amazon. The original travel game? Maybe! 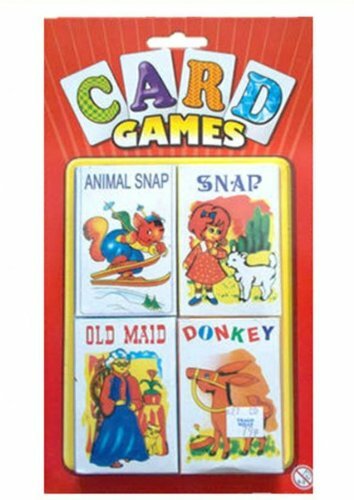 Our favourites include classics such as the Snap, Old Maid, and Donkey card game compendium as well as newer cards games like Uno, and of course Top Trumps! From just £3, you really can’t go wrong with this compact travel classic! Pens, pencils and a note book. Essential items for endless ways of having fun. Draw a picture, play noughts and crosses, create a guess the picture game, play hangman. It may be a cliché, but the only limit is your imagination. Why not get extra crafty and break out a few origami moves with some pages. You can always take things a little further with this dedicated origami farm book! Just under £25 from Hobbycraft. 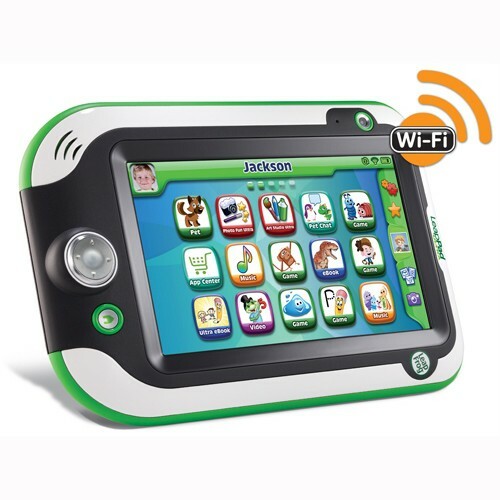 Ok, not a cheapie here, but chances are you have a tablet, iPod or smart phone to which you can download videos, games and apps. 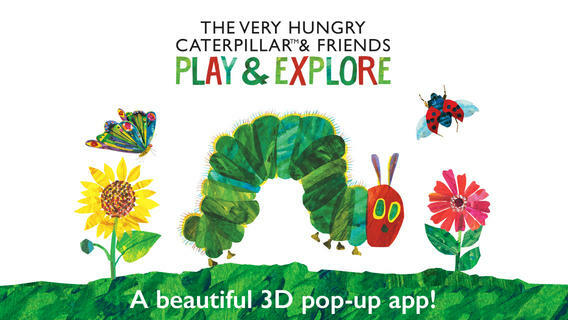 There are obviously kerbillions of kids’ favourites out there, but we think that The Very Hungry Caterpillar™ & Friends – Play & Explore app is too cute to not get, and it is only £2.49 to download. Please offer your child headphones, or turn the sound off. If there is anything worse than the noise a toddler having a tantrum makes, it is the repetitive sounds of an electronic game! While iPads, iPods and mobile devices may woo the young traveller, you can’t beat a good old-fashioned children’s book. Obviously, pack a favourite, but also take along a couple of new treats. You’ll get more time to relax if the little ones are engrossed in something new! Why not try Where’s Wally – The Ultimate Travel Collection? It is sure to take up some journey time! 10 I Spy With My Little Eye… Games that need no supplies! It’s free, it’s fun and it can take a while. As well as I Spy, you can chuck in the Shopping List Game (I went to the shop and bought a…. ), ABC Game – take it in turns to name something from a theme (food, dogs, names) to match the letter of the alphabet (Apple, Banana, Carrot…), Would You Rather…? Ask questions that will elicit a laugh such as “Would you rather cuddle a slug or a snail?”. Games that need no supplies are obviously cheap, and take up no room when it comes to packing. However, a mere £3.84 on the book, Kids Games To Play While Travelling will fuel many hours of fun wherever you are in the world! This entry was posted in Fun, Travel Advice, travel apps, Travel Shopping on May 15, 2014 by worldwideinsure.